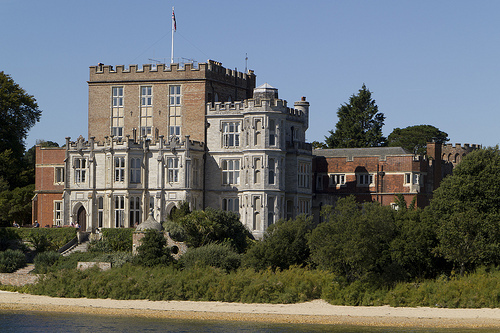 Brownsea Castle was originally built as a Device Fort by Henry VIII to defend Poole Harbour from French attacks. The castle was occupied by Parliament forces during the English Civil War, but fell into disrepair by the end of the 17th Century. During the 18th Century the house was converted into a private house and was extended into a country house with landscaped and ornamental gardens. More building work and extensions were added during the 19th Century, but a serious fire gutted the castle in 1896. It was restored and used as a lavish residence during the start of the 20th Century. The castle was allowed to fall into disrepair ofter 1927 and was purchased by the National Trust in the 1960s.The present building incorporates part of the 16th-century Henrician Castle and is leased by the National Trust to The John Lewis Partnership for use as a corporate hotel.